Flaunt your individuality with a great verve by wearing this kurta and churidar set from the house of Ethnix. The kurta comes with a slub pattern makes it all the more appealing. 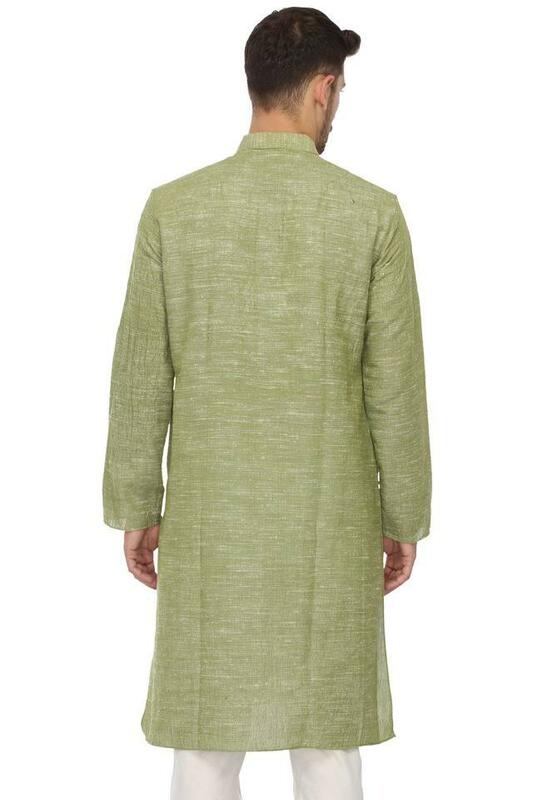 On the other hand, it also features a mandarin neck that adds to the design. 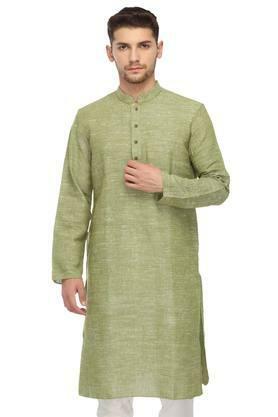 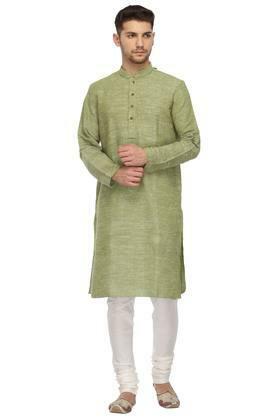 Feed your fashion craving by wearing this kurta and churidar set, which has been crafted with precision. 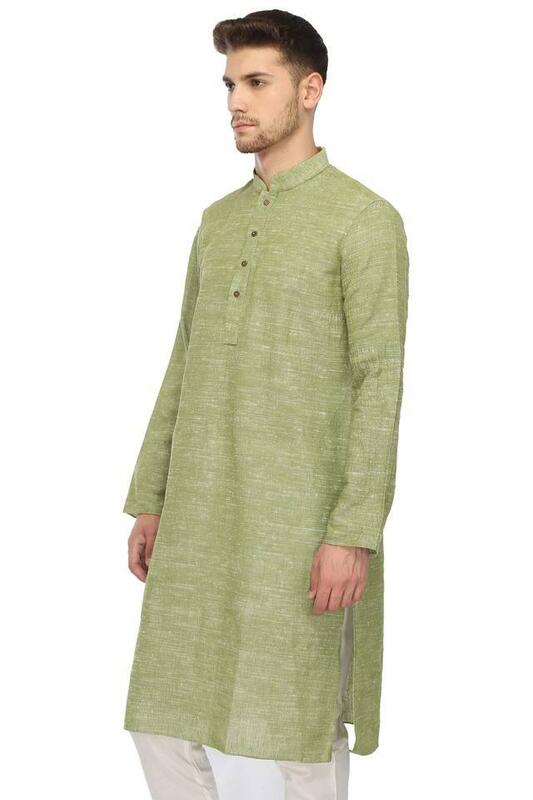 It will look good when worn with a pair of mojaris for a party.